Increasing Your Google Ranking just got a whole lot easier. For the informed entrepreneur that is. 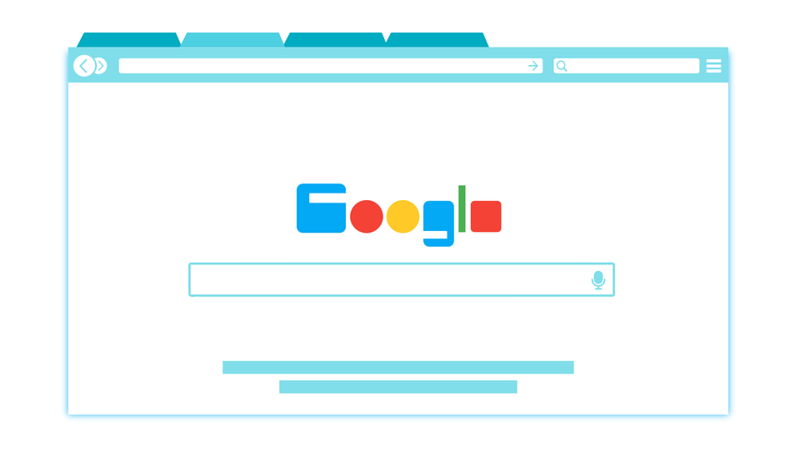 The first criteria to consider is that Google returns results based on the user’s IP address. Google always returns listing that are closest to you. If you search “burgers,” it will mostly pick up the closest McDonalds, then Burger King, then Wendy’s, and so on. Google must verify your physical address before your business can be seen on the Google Maps platform. For this reason, The UPS Store offers a physical mailing address which can be used to verify your business on Google’s platform. By going to multiple UPS stores, your business can show multiple service locations. The next criteria to address is content. The content must be relative to the search term that you are wanting to rank. We suggest creating a page dedicated to each product or service for which you wish to be searchable. For each page, you need to have a minimum of two original pictures, and 352 characters of original copy (basically two paragraphs). You will then need to create a sitemap on the home page, to navigate the spiders to the entirety of the site. The next criteria considered in creating site prominence is the relative traffic generated to the website for each particular search term. This is where your social media and AdWords can play a huge role in the process. The more traffic generated for the key term, the more relative your website is seen for that term, and the higher your site will rank in that area for that term. You don’t have to run AdWord campaigns in perpetuity, only long enough to generate more traffic than your competitors in that area for that search term. Once that is accomplished, you can then move to another desired search term. After traffic, the algorithms consider how recently and frequently updates are being made to the website. Google rewards you for updating your site monthly. There are a lot of tools out there such as Facebook, Twitter, and RSS feeds that will update your site automatically. The most effective way to reflect maintenance being performed is through the use of blogs. Creating a new blog to focus on particular key terms on the site every 2-4 weeks will keep the site so relative that it will become a resource for anyone looking for information. 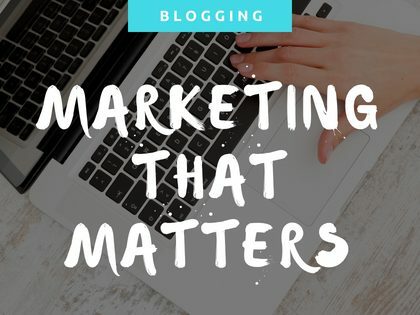 You can also post the blog on Social Media to drive traffic relative to the key terms that are being promoted through the blog. Next Google considers your Google reviews. You are graded on how quickly you respond to your reviews and punished for negative reviews (especially the ones that are unanswered). In most cases, Google requires five positive Google reviews and 15 Google+ followers before they will rank your site on the first page. For each negative review you receive, you need three positive to offset. Only the three reviews with the most recent activity will show on your Google profile. If you do receive a negative review, respond to it only when you have three positive reviews that you can respond to immediately after responding to the negative one. This will bury the negative one under the three positive that you most recently responded. Lastly, Google takes into consideration the domain longevity. The older your domain, the more prominence they assign to your site. Therefore the older the domain, the higher it will rank organically (naturally). This is where a lot of new sites hit a wall because you can’t make your site older than it is. Depending on the industry, Google may not rank a site that is less than one year old on the first page. Google claims that this is because there are a lot of companies that will launch a site for illegitimate purposes. Domains are good for one year, and these SCAM sites generally will not renew the domain. For this reason, Google would like to see the domain renewed at least one time before they are willing to promote on their platform. However Google will allow you to pay them to be on the first page, so who knows if SCAM sites are the real reason. We tend to think that they like the idea of new sites paying to be there. The bottom line is that there is no magic fairy dust that will make your site rank higher. 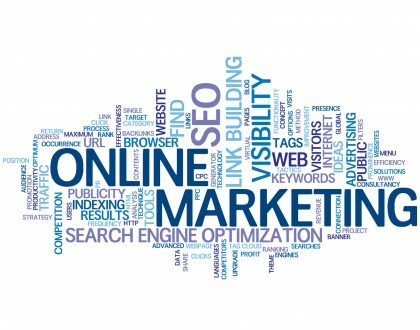 The key to generating business online is to understand the criteria that these search engines are looking for, and presenting it a way that’s compliant. The biggest recommendation that we have for people beginning the process, is to NOT go with a “free website.” These sites are not searchable online, as all of the SEO built in the backend are for whichever company is providing the free designer. In other words, you’re making Wix, or Godaddy, or 1&1, or Weebly, or Homestead better, but you will work around in circles trying to get the site to rank for your key terms. Frequently we see companies using terms like SEO to charge businesses for doing nothing, and we also see small business owners spending money on AdWords because they think that is what they need to do to get on Google. It’s great for leads although it may not help your placement organically. Hopefully, this will save you guys time, money and hassle. We’ve found that the more educated you are, the less expensive it becomes. This can be accomplished on any budget, but you should see growth in your investment. Although as far as Google goes: The bigger your budget, the faster it will grow. Let us know if you need help designing the website or registering with the search engines, or even optimizing the website once you get on there. We enjoy working with small businesses and sharing information that increases your Google ranking. Contact us today for a FREE quote.